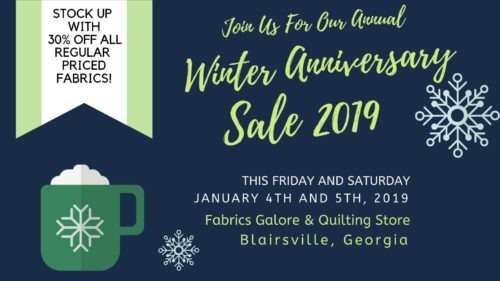 Fabrics Galore and Quilting Store is Celebrating an Anniversary! 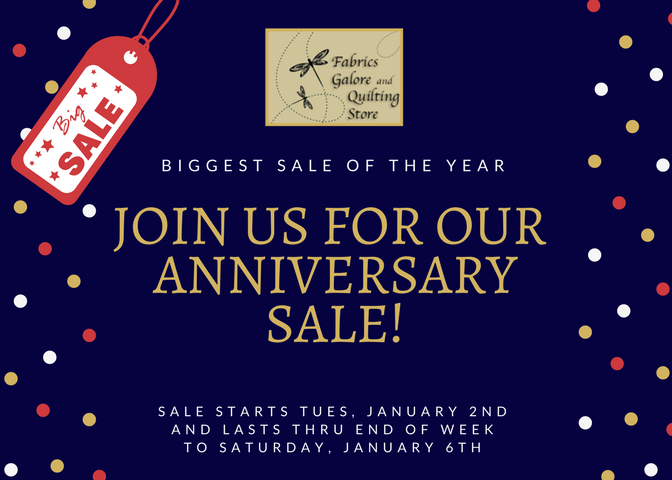 We’re Celebrating with our annual storewide Anniversary Sale all this week! Tuesday January 2nd, 2018 thru Saturday, January 6th, 2018. 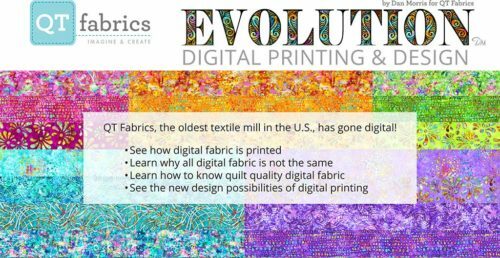 Anniversary Sale Excludes all sale marked items, Brother Sewing, Embroidery & Serger machines and software.